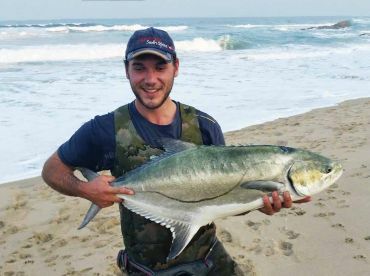 One of Africa’s most iconic freshwater predators, African Tigerfish fishing is practically the backbone of freshwater angling on the continent. Their striking appearance, impressive strength, and razor-sharp teeth make them the perfect target for your next trophy! Tigerfish generally grow between 18” and 24” in the wild, the aquarium specimens most people see outside of Africa are distinctly smaller than that. 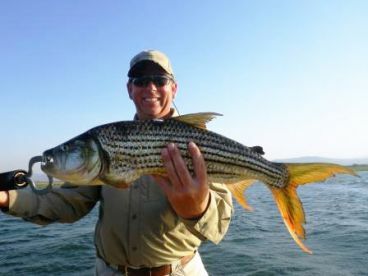 The largest one caught was from Zimbabwe and measured an impressive 34'' in length, with 35 lb 7 oz of predatory mass. 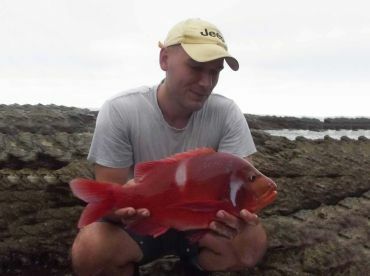 This fish is very prolific and can be found in large rivers and lakes all over Africa – from Egypt to South Africa. You’ll find them near the bottom of a body of water, only coming up closer to surface during daytime to hunt. As the sun goes down so does the fish, into the depths. Young Tigerfish school together and hunt as a school. Adults, on the other hand, are fully independent predators that live and hunt alone. 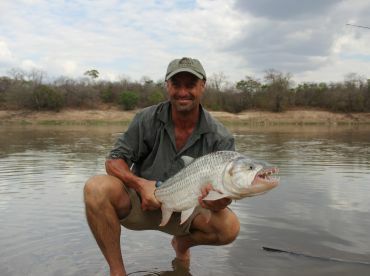 This makes Tigerfish fishing an exciting opportunity, as you can use multiple approaches to reel one in. You want a firm 6-7‘ rod and a strong monofilament (nylon) line. Wire leaders are an absolute must, as they have razor-sharp teeth! Tigerfish are very hungry and they’ll happily chow down on live or dead bait, as well as artificials. 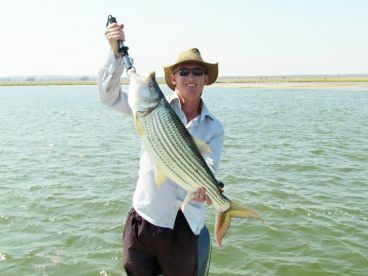 You can even use smaller Tigerfish to attract larger ones. 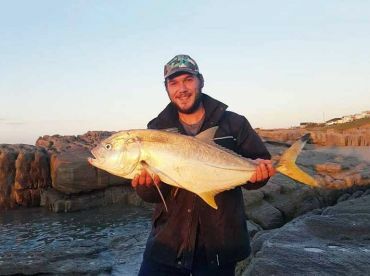 Make sure to allow the fish to swallow the bait properly, as they have a thin membrane that you can tear out if you set the hook too early. 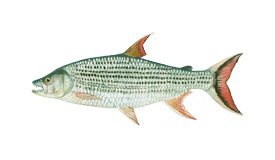 Tigerfish tastes similar to Bream, only a bit oilier and with slightly more bones. They’re great when sliced into small pieces, dipped in batter, and fried or grilled with light spices and citrus. 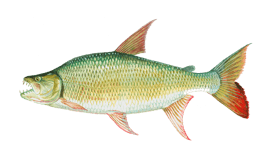 Pickling Tigerfish is one of the favorite ways to prepare the fish, according to the local anglers.